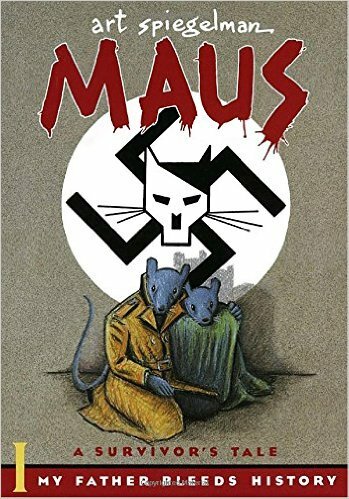 Today's review is "Maus - My Father Bleeds History"
This was a graphic novel and the story of the author and conversations with his father. His father and mother has survived the concentration camps of WWII, and he wanted to tell his story. Because he was a cartoonist, he decided to draw the Jewish people as the mice and the German soldiers as cats. During the interviews with his father he learns what it was like during the war. The author had a brother that was born during that time, but was taken away and killed. His mother committed suicide when the author was in his 20s. Now his father, remarried and unwell, relives for his son was it was like during the years the Nazis had control. This was a good book, and a great way to tell yet another WWII story. I read at least 2-3 WWII novels a year, so it was nice to read something a little different about that period of time. And because it was the true account of a family and how they survived, that made it all the better. I enjoyed it, and I encourage you to check it out.